This tutorial will provide a basic overview of how to edit Kaltura Capture videos in My Media. 1. Select the "Accounts" tab on the Canvas sidebar. Click on "My Media." 2. Click the pencil article on the right side of the video. 3. Click the "Launch Editor" button. This will bring up an Video Editor window. 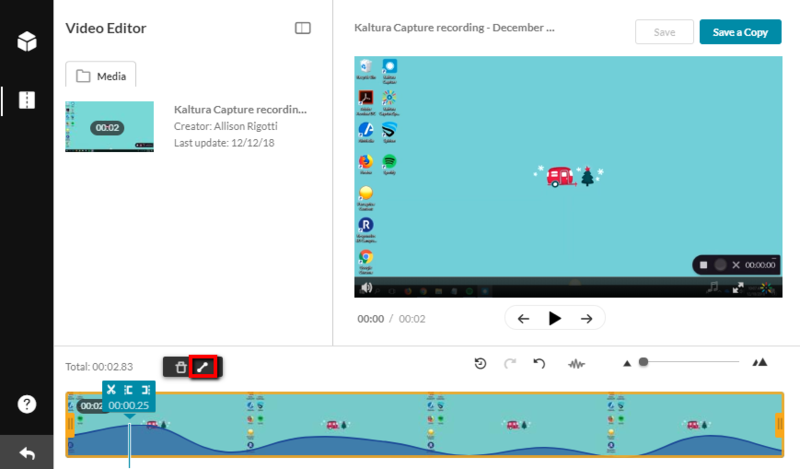 The editor window will open with the video you selected. 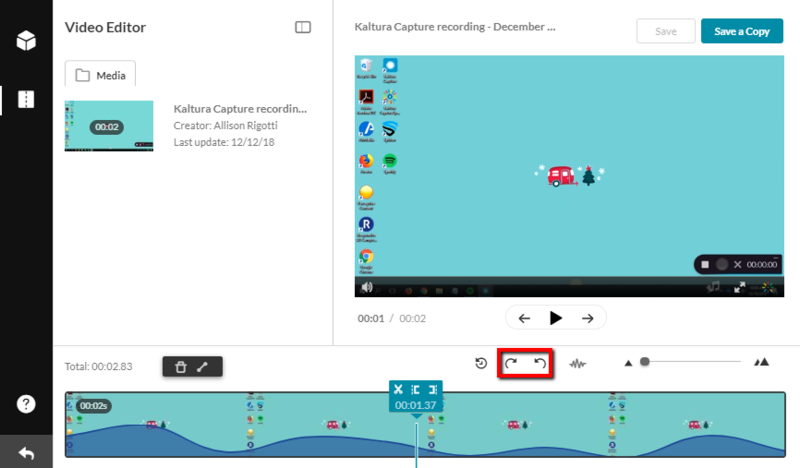 There are several useful tools that will allow you to trim and edit your video. 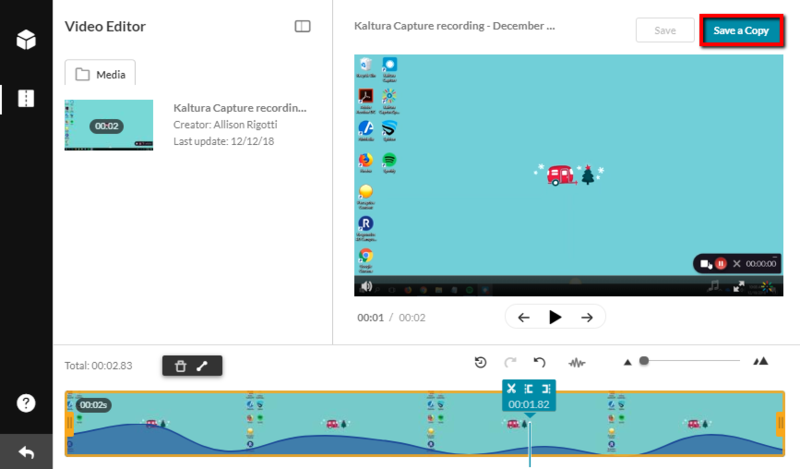 This tool allows you to split your video into two separate sections. The split will occur at the place where the cursor is placed. The set in and set out options will cut off either the beginning (set in) or the end (set out) of your video to the point where you have your cursor. Another way to trim the beginning and end of a video is to use the beginning and end handles of the selected video segment. Simply drag the handles to the point you want to begin or end. The delete option will remove the selected section. 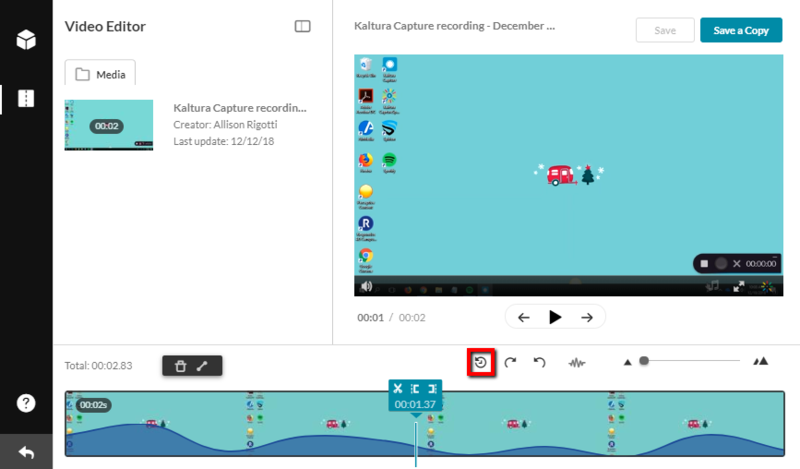 The trim tool should be used to split off the section of the video that you want to omit. Then select that section and select "delete." The fade in and fade out tool allows you to gradually increase the volume at the beginning and end of the video. Select the fade tool and then indicate the amount of time that the fade should last. 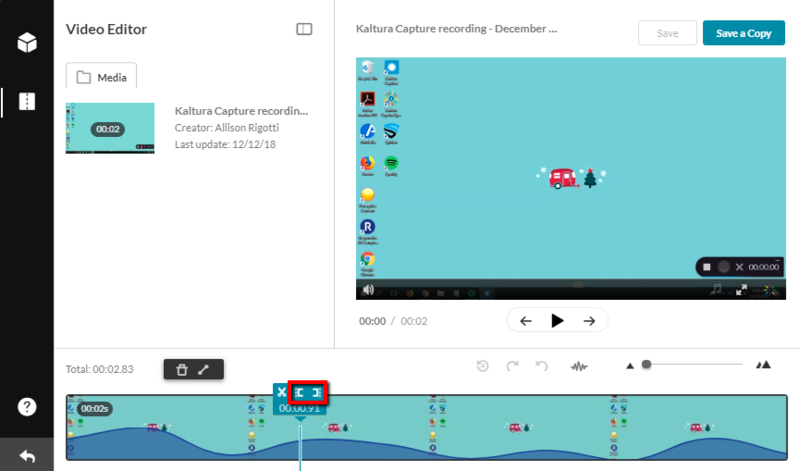 The arrows above the video timeline will allow you to undo or redo the last action you preformed. If either arrow is grayed out, that option is not available at the time. The reset button will undo all of the edits that you made to the video. A window will appear after selecting the reset button asking you to confirm the reset. Once you are finished with your edits, select the "Save Changes." This will ask you to rename the video and will add the new copy to your My Media library.